Hong Kong is a complex city, and one that is full of contradictions. Nowhere else can a person stay for years, decades even, and still not fully understand the place. Which other city can be ranked ‘the world’s freest economy’ for 21 years in a row and yet still leave its’ residents feeling like the prisoners of greedy businessmen? Jason Ng, author of bestselling book Hong Kong State of Mind, explores the ins and outs of the sprawling cosmopolitan city that is Hong Kong. 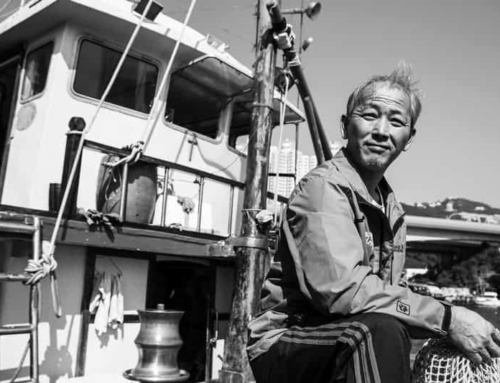 In his newest edition, No City for Slow Men, Mr. Ng covers everything from his views of local service standards to stories about his parents’ lives in Hong Kong. Hearing that, you may be tempted to think No City for Slow Men is a glorified travel guide, and yet, it is so much more than that. It is a book that blends wittiness, compassion and knowledge into 267 pages of delightful reading. The pages are split into 3 parts. The first part, ‘Our Way of Life’, talks about the culture of the citizens in Hong Kong and those that oversee the operation of the city. Jason Ng points out and criticizes the idiosyncrasies that have become commonplace in Hong Kong, whether it be the people who cut their toenails on public transport or the shopping malls that feel the need to recreate their own version of the North Pole. The second part, ‘Our Culture’, shows some of the peoples’ attitudes towards holidays, weather, etc. and also compares and contrasts the differences between locals and foreigners in Hong Kong. A good example that he points out is how playing poker is actually illegal in Hong Kong, a fact that is sure to boggle expats and tourists alike. The third part, ‘Our Identity’, is perhaps the part that is most gripping for those seriously interested in Hong Kong. It talks about pretty much all the biggest issues, such as the city-wide identity crisis its’ citizens are facing and the domestic helpers that are consistently refused visas. It is here that Ng shows he can also be both compassionate and compelling in a heartfelt apology to the domestic workers. It is also not all about Hong Kong. The autobiographical elements that can be found throughout the book are most prominent here, and the book ends with two heartwarming stories about his parents. There is a lot of criticism throughout the book of Hong Kong locals, yet Ng balances this with hefty doses of humour. Sharp and witty, he exposes the flaws of Hong Kong for all his readers to see. However, it is clear that he truly loves this eccentric city, and is not slow to give praise where praise is due. Whether it is complimenting Hong Kong’s food culture or praising local service staff, there is enough for even the most passionate citizen to feel satisfied about their city. All in all, Ng gives what I see as a fair and apt representation of the ‘Fragrant Harbour’. There are also a ton of memorable quotes, short, sweet and ultimately very fitting. ‘Owning an expensive watch is a lot like having a girlfriend – it is not a big deal to have one, but it is a big deal not to.’ It is an accurate representation of the mentality here. ‘When alpha cities like Hong Kong, Tokyo and New York fall over each other vying for the dubious title of a city that never sleeps, it is the citizens who pay the price.’ This is a quote that I feel encapsulates the frenzied and rushed lifestyle that citizens have to endure. And finally my personal favourite, ‘Mainlanders drive us crazy, but keep us afloat.’ In one sentence, Ng sums up quite nicely Hong Kong citizens’ feelings towards the Mainland tourists. When you’ve lived in Hong Kong your whole life, it can be easy to wish to leave at the first possible chance. Perhaps the lifestyle is too rushed for your taste, or maybe the rent prices are too high. Whatever it is, you can sometimes forget why Hong Kong can be such a great place. No City for Slow Men can remind you why.